Bali Praia's Drum and Bass nights are back! With the huge success of our first 11-hour live stream, we have decided to dedicate a monthly event to the rapidly growing D&B scene here in Bali. This month we bring you one of Australia's talented up and coming artists, Near Edge. He's been working hard on some banging tunes recently so who knows what we might hear. 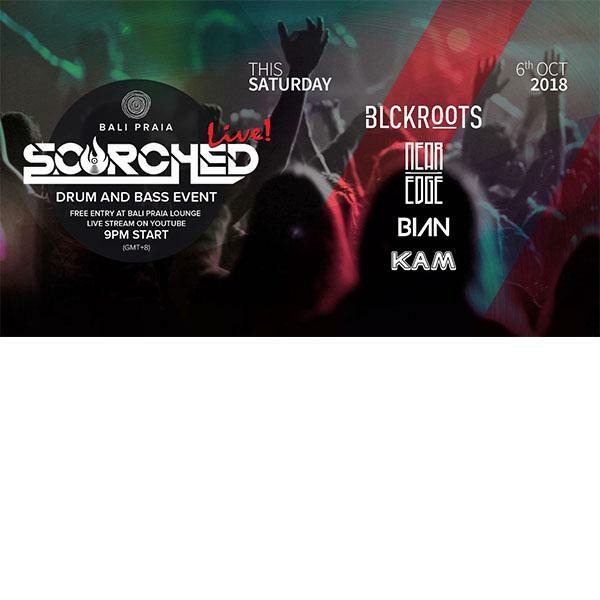 Smashing the Void Acoustics rig alongside him on the night will be some of Bali's most heavyweight artists, Bian, Blckroots, Kam and possibly a couple more. This is a session for all Bali Drum and Bass heads, so don't be scared to bring a USB. 9AM Kick Off. Broadcasted live on Youtube! Who knows what might happen !